Some of the most noticeable wrinkles on your face, such as forehead furrows, crow’s feet, and frown lines, are effectively diminished using Botox® treatment. 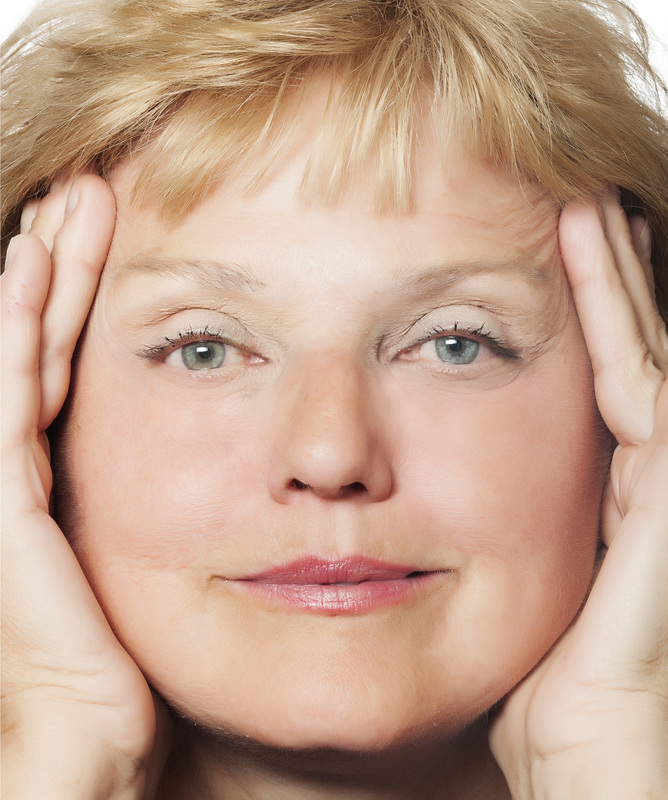 Dr. Nataliya Dashevsky welcomes anyone concerned about facial wrinkles to contact the practice, Doctors in Princeton, in Princeton, New Jersey. Call to schedule a consultation so that she can assess your skin and answer your questions about Botox therapy. Botox is an injectable medication made from the botulinum toxin. When a small, diluted dose is injected into muscles, it blocks some nerve signals. As a result, the targeted muscle can’t contract as strongly as it normally does. This muscle relaxation loosens and softens wrinkles that result from repeated contractions made by that specific muscle. 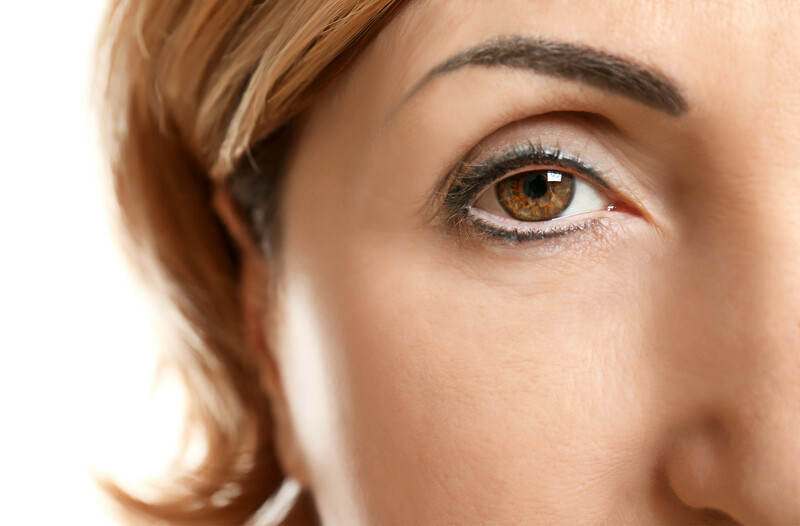 Botox is uniquely effective for treating dynamic wrinkles; it doesn’t diminish wrinkles caused by exposure to sunlight, gravity, or loss of collagen. A dynamic wrinkle is one that develops where muscle contractions make skin bunch together, forming creases that become deep and permanent over time. What can you expect during and after Botox treatment? 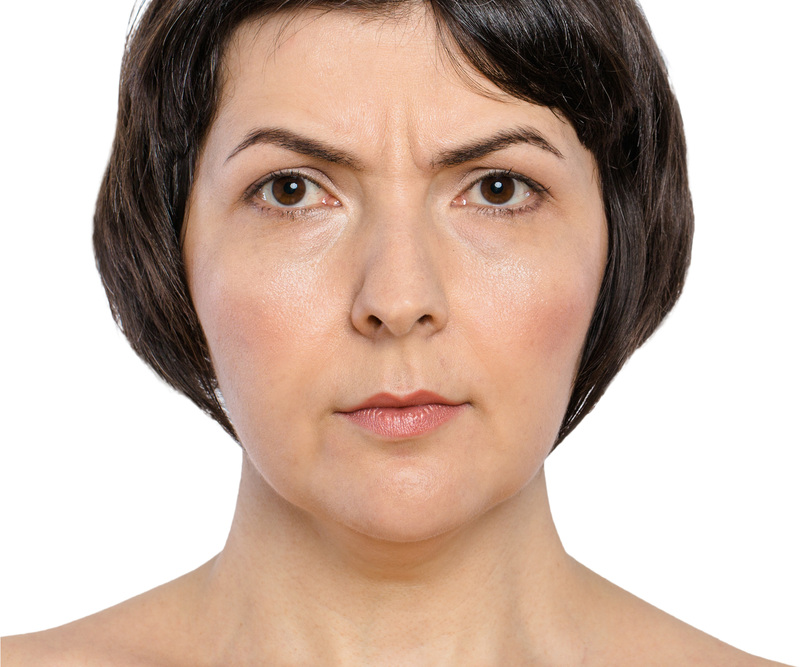 Most patients only feel mild discomfort because Botox is injected with a very fine needle. Since each person has a different degree of sensitivity, your physician at Doctors in Princeton will talk with you before the procedure to see if you’d be more comfortable with a numbing cream. You don’t need to plan for downtime, but the doctor will give you care instructions to follow after the procedure. It takes 2-4 days to see results in moderate to severe wrinkles treated by Botox. It’s important to know that the effect is temporary, but the results will last 3-4 months and possibly a little longer. If you choose to get additional Botox treatments in the future, you may see longer lasting results with subsequent injections. 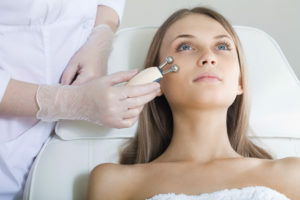 Dr. Nataliya Dashevsky in Princeton, New Jersey, has years of experience and expertise using mesotherapy to eliminate fat, diminish wrinkles, rejuvenate facial skin, and stimulate hair growth. Contact the practice, Doctors in Princeton, to learn how mesotherapy — the injection of small amounts of vitamins, minerals, medications, and other active ingredients into the skin — may help contour your body and refresh your skin. Mesotherapy is a treatment in which small quantities of active ingredients are injected into or just under the skin. Unlike injections intended to spread throughout the body, mesotherapy ensures that the active ingredients penetrate deep into the skin in the area where they’re injected, which delivers focused treatment to a targeted region. When you meet with Dr. Dashevsky, she’ll explain the active ingredients being injected, because they’re chosen according to the health issue being treated. However, injections commonly include multiple ingredients designed to achieve optimal results, including various vitamins, minerals, amino acids, and medications. Mesotherapy injections may contain vitamins that stimulate the production of collagen and elastin or serve as antioxidants that protect the skin. Some substances are used to boost circulation, while others help hydrate skin or break down fat cells when injected into the layer of fat just below the skin. What health conditions are treated with mesotherapy? What can you expect during and after mesotherapy treatments? Before your procedure, Dr. Dashevsky completes a thorough examination and develops an individualized treatment plan dedicated to achieving your desired outcomes. When you come in for treatment, mesotherapy is administered using a very thin and short needle specially designed to target areas in and near the skin. Most patients tolerate the shots, but since each person is different, Dr. Dashevsky will talk with you about numbing the area prior to treatment. Patients may experience some temporary swelling and redness, but shouldn’t need downtime to recover. Mesotherapy treatment requires 8-10 sessions. The first 4 sessions are 1 week apart and subsequent sessions are scheduled every 2 weeks. Depending on the area treated and severity of the condition, results last from 6 months to several years. In severe cases, the doctor may recommend a session every 3 months to maintain the results, but many don’t need any maintenance sessions. When laugh lines have become deep creases that aren’t amusing, and cheeks or lips have lost their youthful fullness, one of the Restylane® and Juviderm® dermal fillers may be the perfect solution. Dr. Nataliya Dashevsky in Princeton, New Jersey, has the expertise needed to meet your expectations while achieving natural-looking results. Contact the practice, Doctors in Princeton, when you’re ready to see immediate improvement with a Restylane or a Juviderm dermal filler. Why do you need a dermal filler? Everyone has a thin layer of fat under their skin. In the face, it cushions skin, which does two things that improve appearance: It prevents skin from lying directly on muscles and it adds volume. As a result, the face appears full and healthy, and lines are minimized. As you get older, this cushion of fat begins to thin out and become displaced. Aging also causes skin to lose strength and elasticity. These combined changes affect your appearance, resulting in hollow cheeks, droopy and diminished lips, and more visible wrinkles. Dermal fillers, such as the line of Restylane and Juviderm products, are specifically designed to solve this problem and restore natural fullness. Restylane and Juviderm dermal fillers are gel-like injectables that contain hyaluronic acid. Hyaluronic acid is naturally produced in your skin, where it’s one of the primary substances responsible for hydrating skin, imparting skin’s resilience, and making it pliable. When Restylane or Juviderm is injected beneath the skin’s surface, it restores natural volume, smooths out wrinkles, and helps lift facial features. As the hyaluronic acid from Restylane or Juviderm integrates into your skin, it does its usual job of binding with water to maintain moisture and volume. What cosmetic concerns are treated with dermal fillers? Restylane and Juviderm include a line of dermal fillers that target different cosmetic problems. 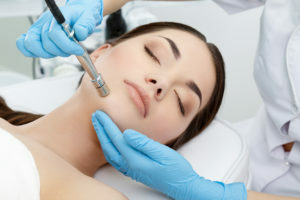 Depending on which product is used, the injection can be shallow or deep; either way, the filler goes under the line or wrinkle. Restylane and Juviderm products are used to add volume to lips, lift and augment cheeks, and diminish moderate to severe facial wrinkles and folds such as laugh lines. Restylane or Juviderm is injected using an ultra-fine needle that’s tolerated by many patients, but a topical anesthetic can be used to keep you comfortable during the procedure. One session usually takes less than an hour, but you may need a few sessions to achieve your desired results, depending on the extent of the work being done. You may experience mild swelling, redness, pain, or bruising, but they’ll subside within 7 days for facial wrinkles and in fewer than 14-18 days for lips. Restylane and Juviderm produces immediate results that last six months or longer. Dr. Dashevsky will talk with you about setting up a schedule to maintain optimal results. Hair loss is typically associated with men, so it’s often a shock when women notice hair thinning or suddenly start losing handfuls of hair. Dr. Nataliya Dashevsky in Princeton, New Jersey, has extensive experience determining the underlying cause of women’s hair loss,and using mesotherapy to restore hair. Don’t hesitate to contact Doctors in Princeton to schedule a consultation and learn if you’re a good candidate for hair restoration. Hair follicles go through growth cycles, spending years growing and supporting hairs, then entering a phase where hairs are shed and the follicles become dormant for a few months. Women normally lose 50 to 100 hairs every day, but this natural shedding is seldom noticed because new hairs are growing from follicles that are still in the active phase. Hair loss occurs when the cycle is disrupted, you have more dormant than active follicles, or when the follicles are damaged. Androgenetic alopecia: Also known as female pattern baldness, this type of hair loss is caused by hormonal changes. Heredity plays a significant role, but the loss is often triggered by ovarian cysts, some types of birth control pills, pregnancy, and menopause. 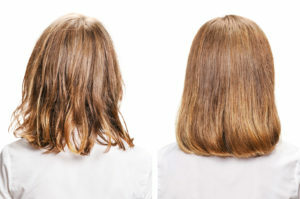 In female pattern baldness, women usually have diffuse thinning all over the scalp. Traction alopecia: Hairstyles that pull the hair, such as tight ponytails, braiding, cornrows, and extensions can traumatize follicles when hair is frequently styled that way. Anagen effluvium: This is the hair loss caused by chemotherapy, which interferes with the metabolic activity of hair follicles and causes hair loss, even from follicles in the growth phase. How is hair restored at Doctors in Princeton? 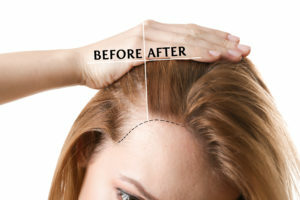 In addition to treating underlying health conditions affecting hair loss, the Doctors in Princeton may recommend restoring your hair using mesotherapy, which doesn’t help female pattern baldness, but is successful for treating hair loss from other causes. Mesotherapy consists of small injections of vitamins, amino acids, minerals, and medications, which are delivered into the skin using a tiny needle specially designed for this procedure. As active ingredients are deposited near the hair follicles, they provide focused treatment that can stimulate hair regrowth. This is a non invasive cosmetic therapy based on low electric currents passed through the face to produce several therapeutic effects such as facials muscle toning and micro-lifting of the whole face and increased collagen production. The benefits of Microcurrent therapy are reduction of blackheads and acney scars, improved skin elasticity, reduction of pitting and dark circles under the eyes. Radiofrequency waves stimulate the deep layers of skin heating them up and causing elastin and collagen production in the deeper layers. The top layers of the skin contract visible reducing the wrinkles. Another benefit is improvement of blood circulation on the surface of the skin that is an essential component to youthful skin appearance. Radiofrequency treatment can be used on the face separately or in combination with microcurrent. RF can also be used for cellulite reduction separately or in combination with LipoLaser. Ultrasound Cavitation is the newest, most advanced technology in non-invasive fat removal, a liposuction alternative. 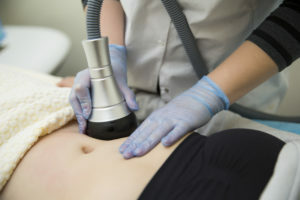 Ultrasound frequencies cause thousands of microscopic air bubbles to surround the fat cell membranes and with vibration, the bubbles create enough pressure to cause the fat cells to break up. The contents of the broken fat cell are then moved through the lymphatic system and excreted from the body. The effectiveness can be increased by drinking plenty of water both the day of treatment and on subsequent days. Microdermabrasion is a method of exfoliating superficial skin cells creating fresher, healthier appearance of the skin through improved cell turnover. Works well for fine lines, blemishes and acne scarring, stretch marks, enlarged pores, age and sun damaged spots. Exfoliation is a very much needed component of skin care. Removing the dead cells and getting rid of dead skin buildup improves the drainage through the pores and reduces inflammation. Our new generation state of the art IPL machine allows fast and effective hair removal procedure. IPL is safe and effective way of hair removal that has been perfected over the last 20 years. The newest technology allows for more effective and faster hair removal on surfaces big and small. IPL therapy leads to removal of age spots, broken blood vessels and stimulates of collagen production. Freckles and pigmented spots, sun damage is extremely responcive to Photophacial therapy. Our state of the art machine allows to achieve great results for variety of skin conditions. Photophacial Rosacea Treatment reduces the appearance of broken vessels and facial redness. Photophacial Acne Treatments reduces active inflammation and outbreaks as well as diminishes the appearance of old acne scarring. Lipolaser machine emits low levels laser energy, which creates a chemical signal in the fat cells, breaking down the stored fat. Treatment permanently reduced fat cell size which demonstrated in the inches loss. Safe and effective, not invasive procedure uses low level red laser light to create a safe and painless stimulation is of the normal chemical pathways to free up reserved energy resources stored in fat. Treats all skin types and most body parts such as chin, neck, breasts, back, knees, hips, thighs, buttocks, arms etc.